Okay, here's the latest finished product hot off the crafting table. This time I took out my Taylored Expressions Adventure Land set to play with. 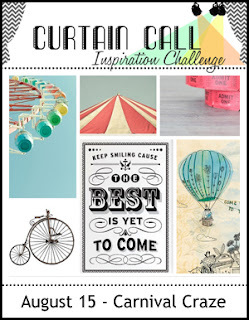 It's perfect for this week's Curtain Call Inspiration Challenge - Carnival Craze challenge! OMGosh I love this image and cute design....I may have to pick this set up! lol. 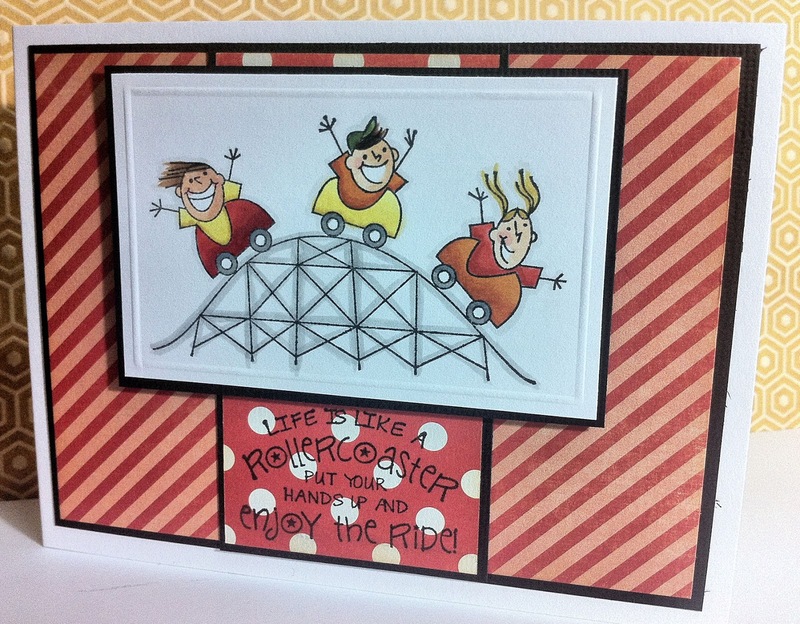 Such a fun image and card!! Thanks for joining us at The Curtain Call. What a super cute card. Love the fun image. The embossed border looks great. Thank you for joining us at The Curtain Call. What a FUN card! Thanks so much for playing along with us at the Curtain Call Challenge!